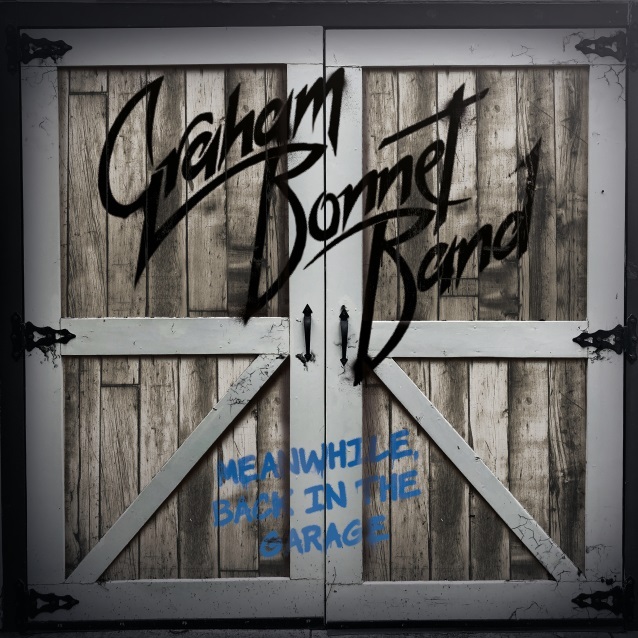 The GRAHAM BONNET BAND will release its new album, “Meanwhile, Back In The Garage”, on July 13 via Frontiers Music Srl. The disc’s new single, “Sea Of Trees”, can be streamed below. Says Graham: “This is the most important album I have done in 35 years. I think fans of the classic ALCATRAZZ sound will love this record. “The first single (which is also the title track), ‘Meanwhile, Back In The Garage’, is about any young band starting today… which is like it was back when I started. As the lyric says, ‘take a number, it’s a hell of a line’! Bonnet is a hard rock legend with a pedigree to back that statement up. His stints with RAINBOW, MSG, ALCATRAZZ and IMPELLITTERI prove he is one of the finest rock vocalists of his generation. Fresh off a stint with Michael Schenker Fest, Graham is preparing to return with a new GRAHAM BONNET BAND album, “Meanwhile, Back In The Garage”. Crafted with Joey Tafolla on guitar (Joey performs all lead and rhythm guitars except “Livin’ In Suspicion”, which is performed by new guitarist Kurt James), Beth-Ami Heavenstone on bass, Jimmy Waldo on keyboards, and Mark Benquechea on drums, “Meanwhile, Back In The Garage” sees Bonnet showing why he has been and still is one of the premiere vocalists in hard rock. This new studio album offers 13 new songs where Bonnet lays down his inimitable vocals over a selection of tunes full of great hooks and melodies. It includes a bonus live DVD captured at a Live From Daryl’s House performance in early 2018. 10. America…Where Have You Gone?